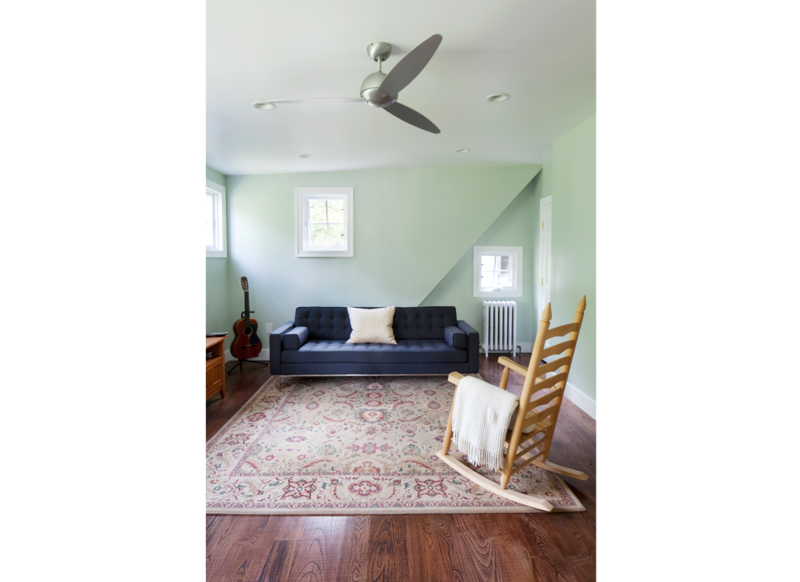 When the homeowners purchased this house on STRATHAVEN ROAD, SWARTHMORE, they wished for a more open floorplan. 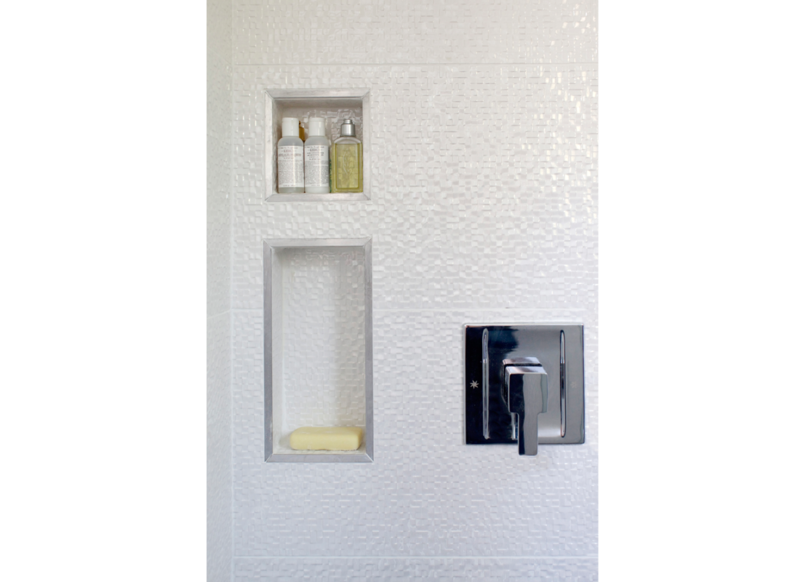 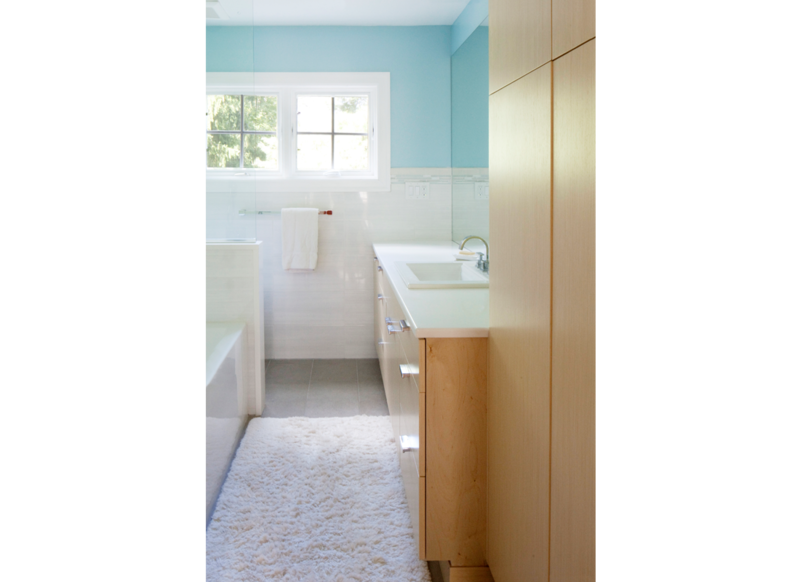 The entry was widened and, working with an architect, they were able to take down a wall between a small kitchen and a utility room behind it. 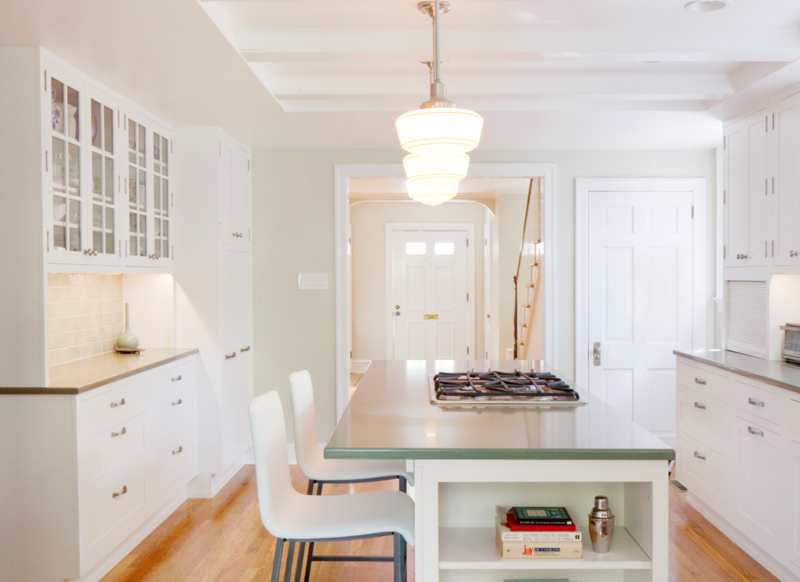 This opened up the space to create one giant eat-in kitchen for a modern family. 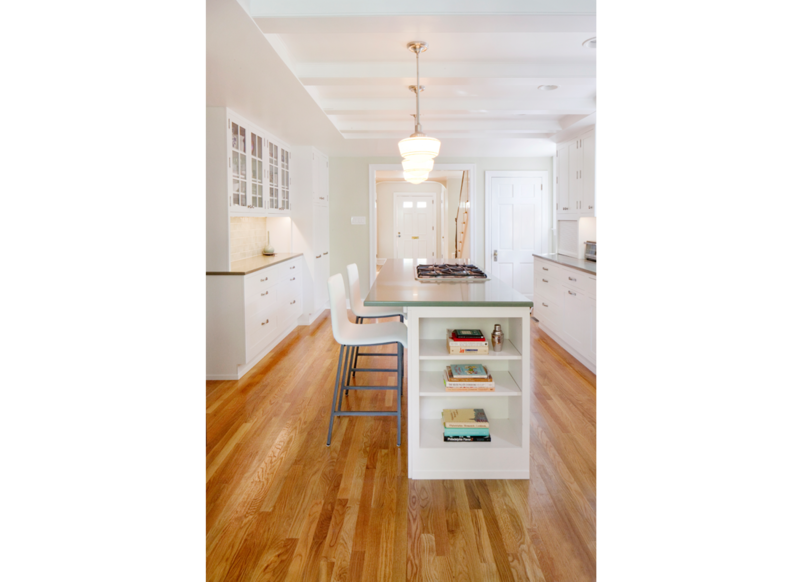 Down2earth interior design worked with the owner to find an efficient space plan for cooking and enjoying family meals, complete with an island, eating nook, and a storage area near the back door. 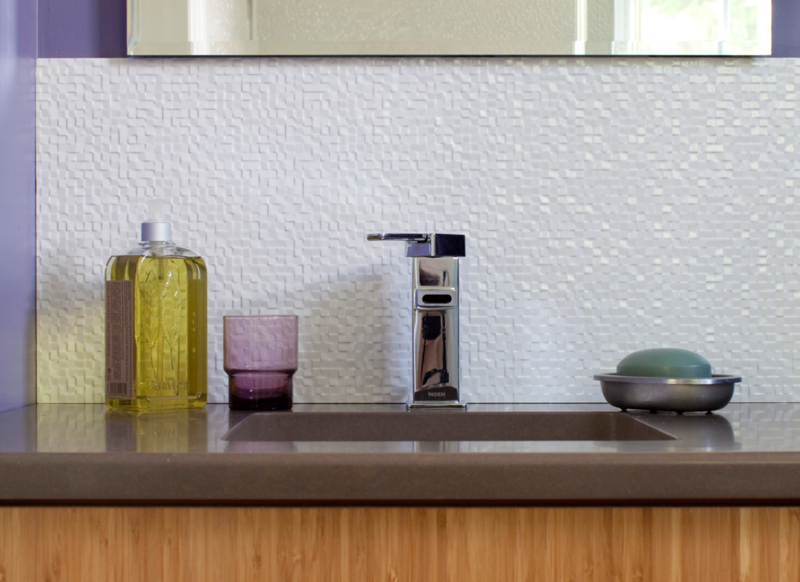 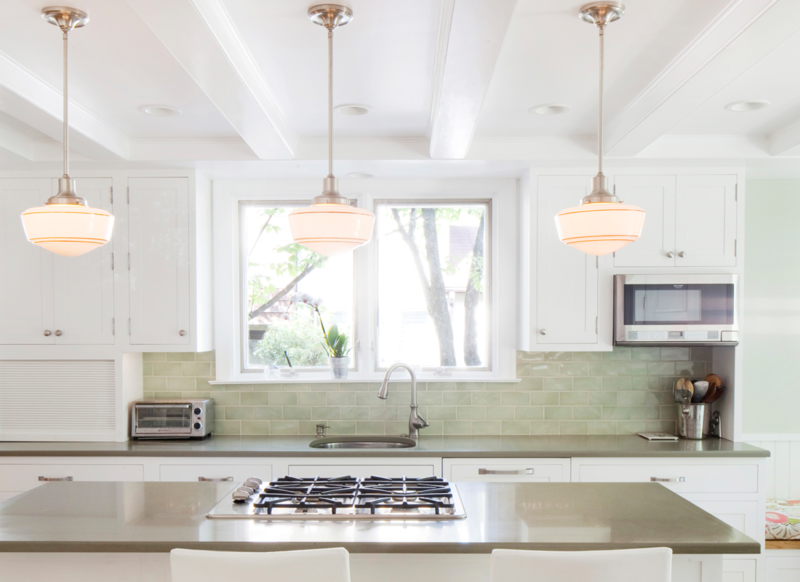 Sage-colored backsplash tiles and a rosemary solid surface countertop warm up this otherwise white kitchen. 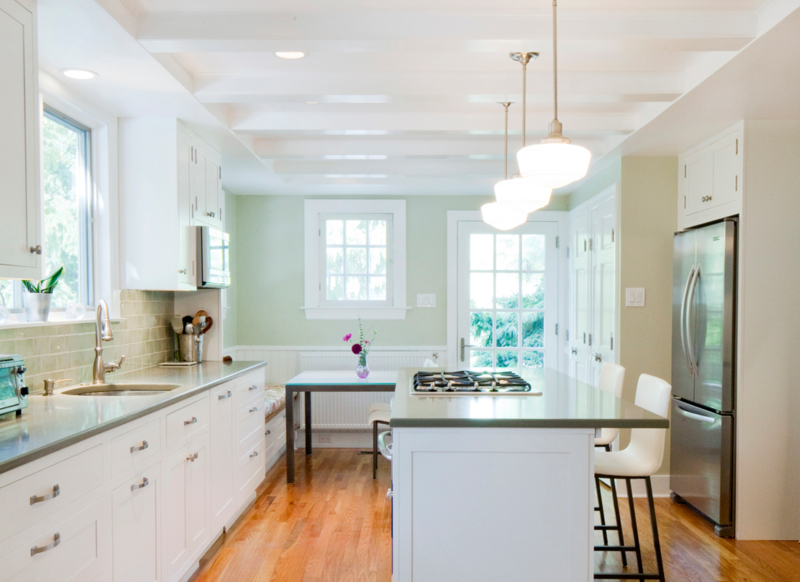 Favorite details are the beamed ceiling and the pendant lights, which have a vintage feel. 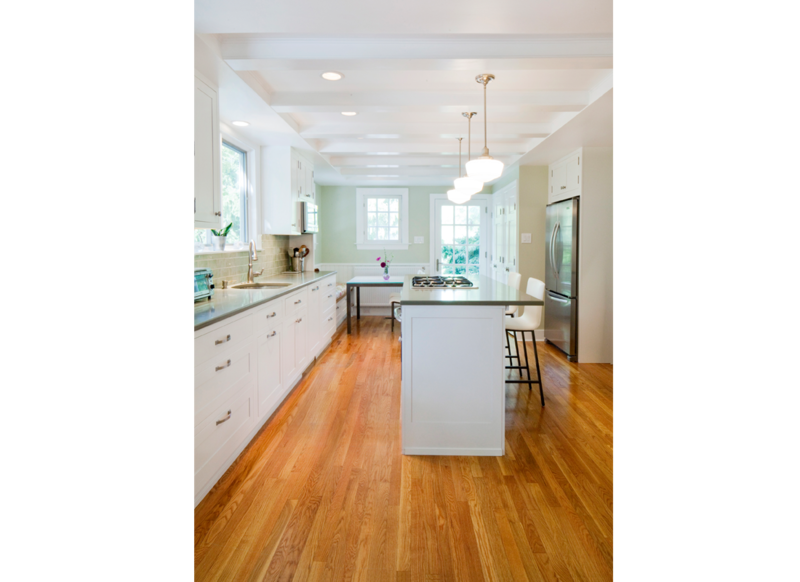 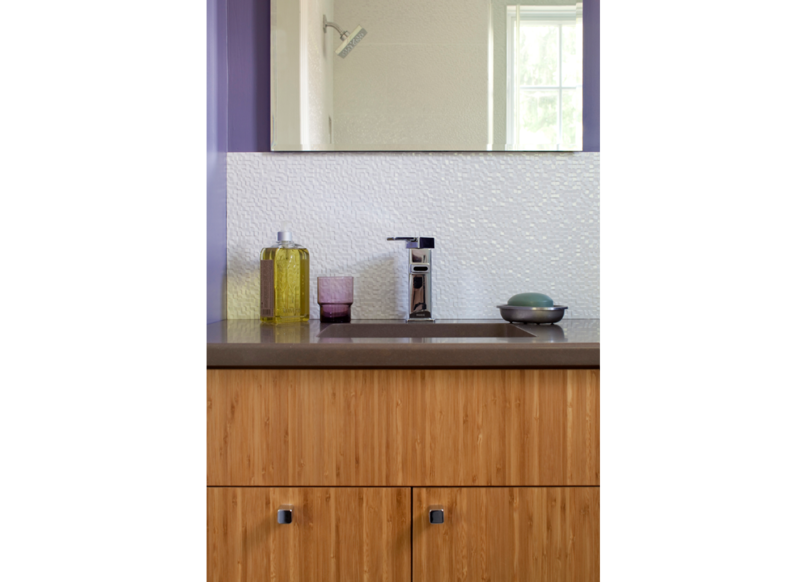 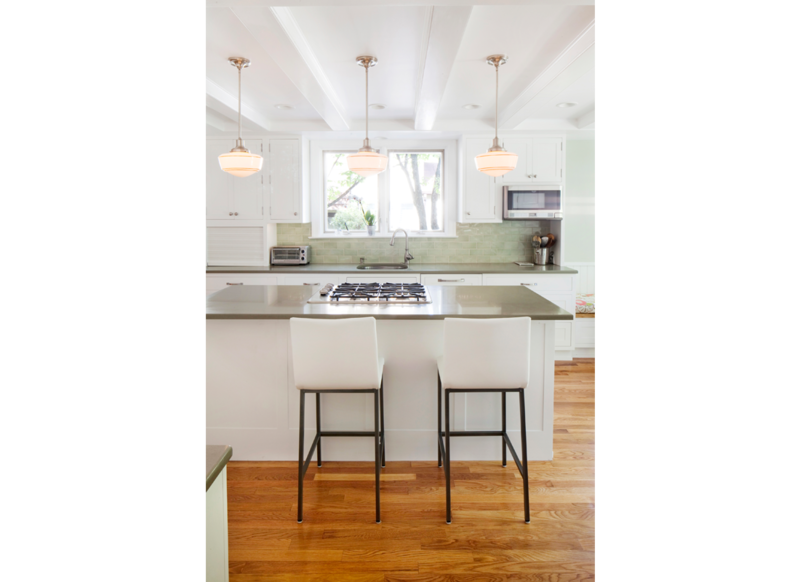 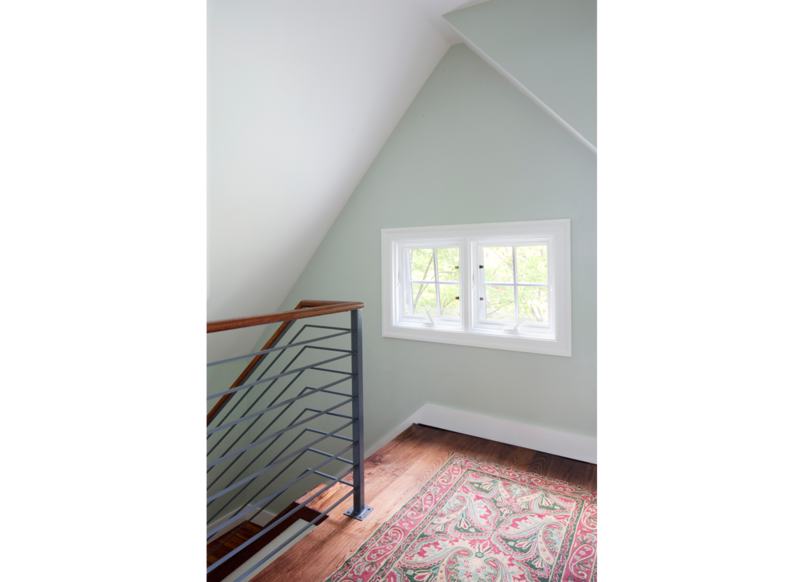 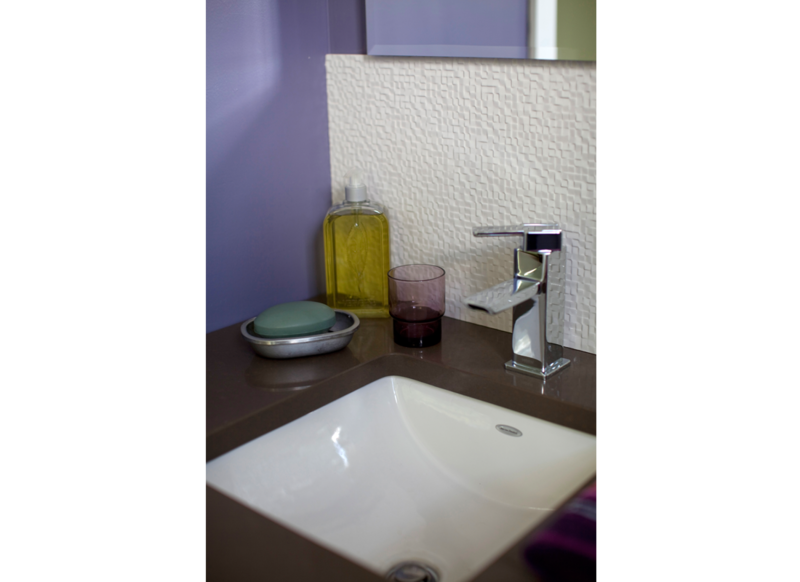 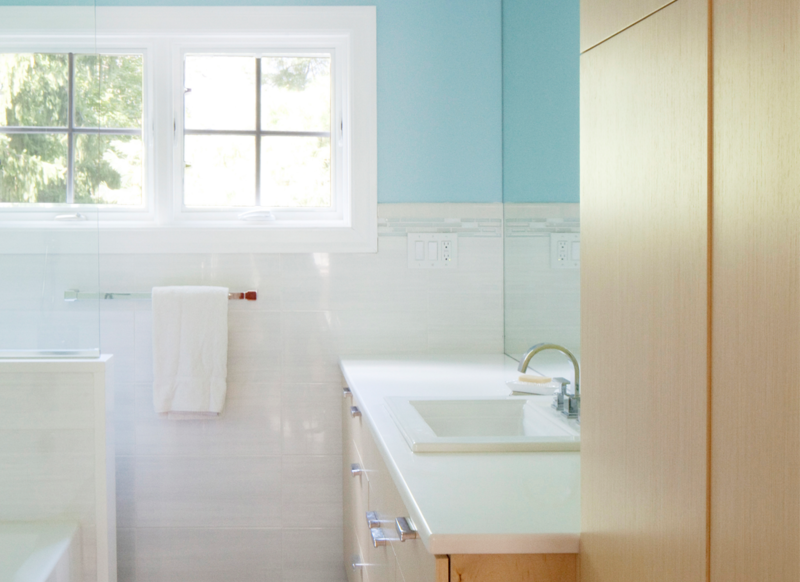 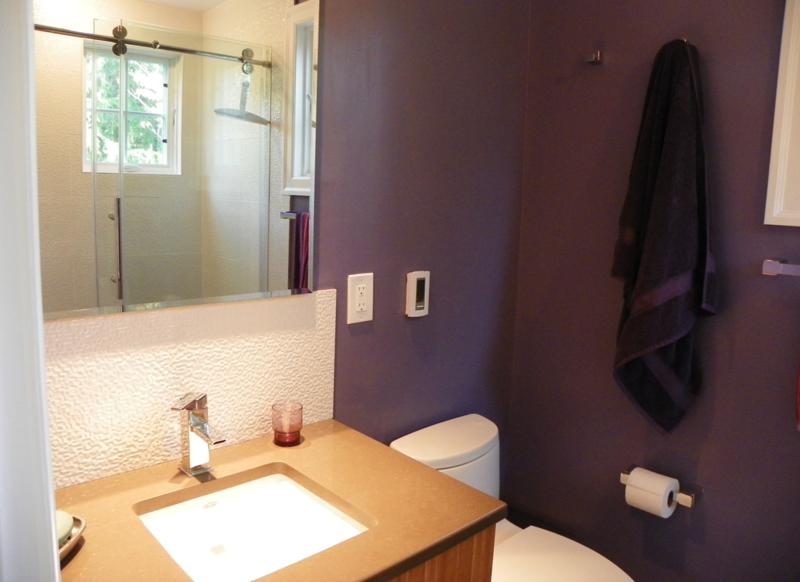 Design scope also included several bathroom remodels and an attic renovation for this STRATHAVEN ROAD, SWARTHMORE home.